Home › Europe › France › Bordeaux › Why Visit Bordeaux? In recent years, Bordeaux has undergone an urban renewal in all the right ways, so the city itself is a destination. And by this, I mean that is has preserved, honored, and promoted its history, old buildings, and heritage. And, all while simultaneously integrating the positive aspects of development. This includes restaurants, an art scene, an incredible new wine museum, and excellent public transportation. Let’s start with getting to Bordeaux. If you are arriving in France from the States, you will probably arrive in Paris (click here for tips on experiencing Paris like a local). France’s TGV rail system is by American standards, superwoman. In comparison, Amtrak is a complete disgrace, but I won’t go there right now. For perspective, what would be a six-hour drive (about 360 miles), takes two hours on the TGV at speeds up to 180 mph. And the ride is so smooth, you barely feel like you are moving! Bordeaux also has an airport. So you can fly in and out to other European countries with ease. In fact, I took a direct flight to Marrakesh upon my departure. 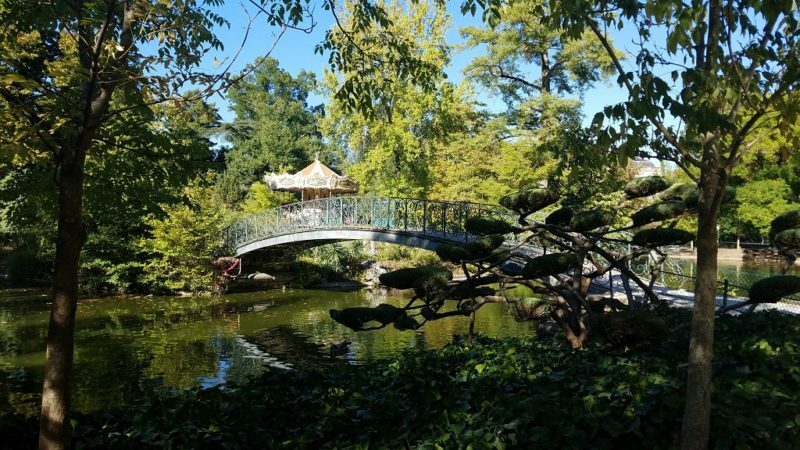 Approximately 250,000 residents call Bordeaux home. With a population of that size, there is plenty to keep you busy. I would recommend spending at least three days exploring. I spent five and did not overdo it. 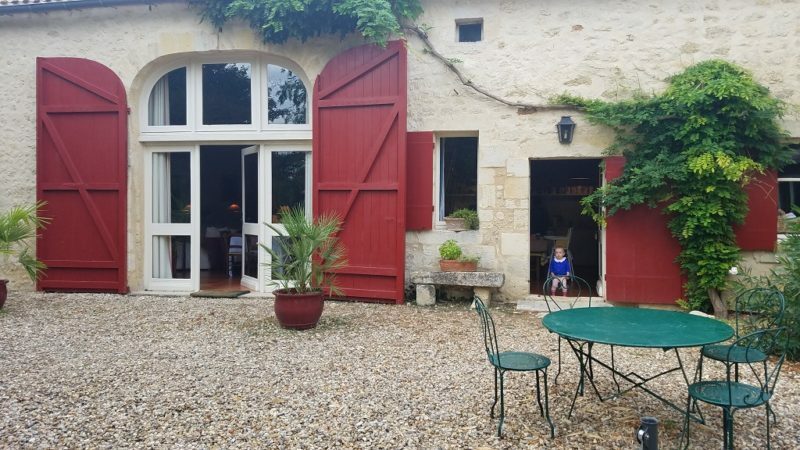 If you intend to take day trips, using Bordeaux as your base, then tack on some extra days. While the individual sites have been around for many moons, the classification of UNESCO Heritage was only given about a decade ago. There are sixteen sites in all and they are all compactly laid out close to what would be considered downtown. 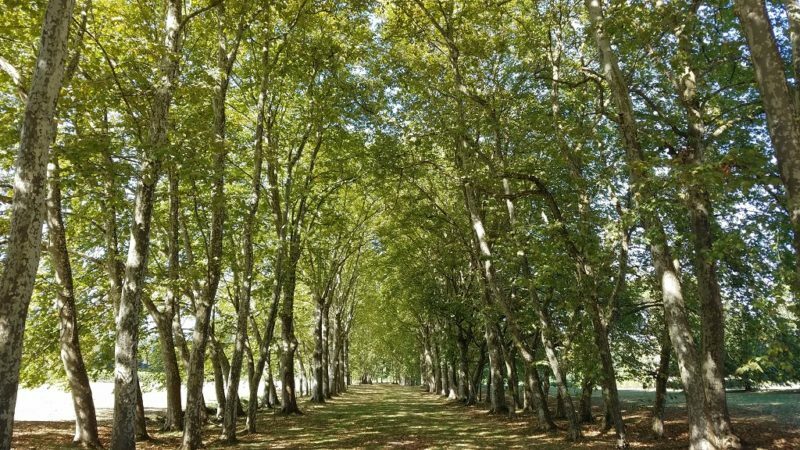 They are clustered alongside the Garonne River, which happens to be an important route for inland shipping. And, if you really get adventurous, you can follow it (or associated canals) all the way to the Mediterranean. The oldest place to visit is Place Fernand-Lafargue, which was built in 1155 and was an old market place. Today it is hipster central with live music and eateries. 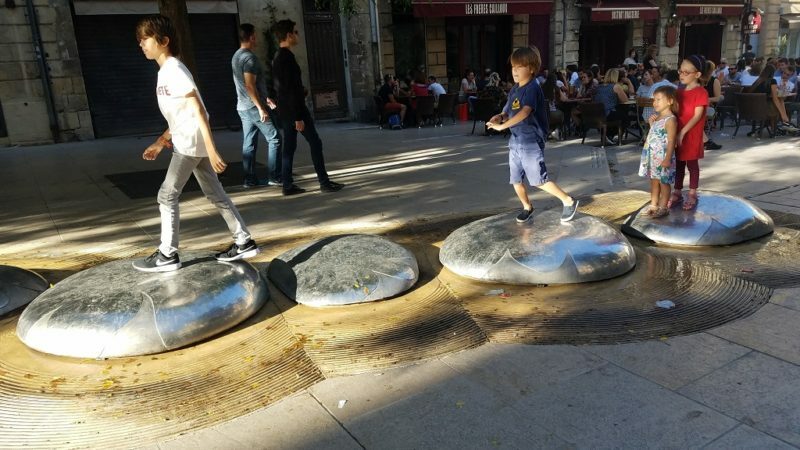 The newest feature was built in 2006. It’s the Miroir d’eau, which is a 3500 square meter water mirror, fed by a 300 cubic meter tank underground. Visiting in the daytime is fun, as you can take off your shoes and dance around. 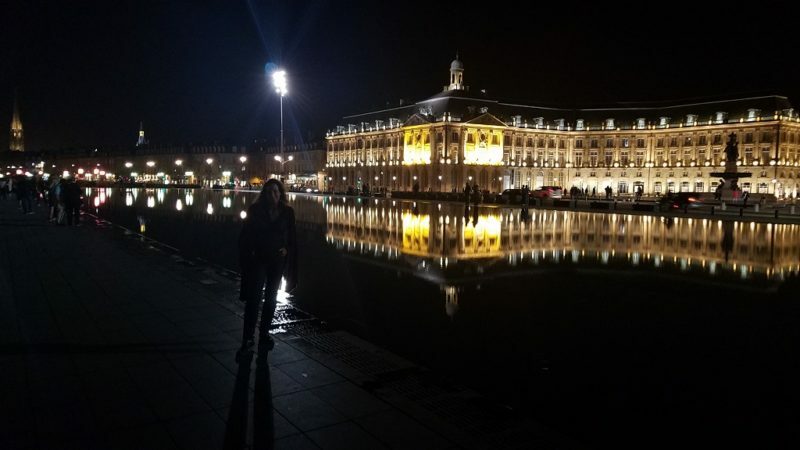 The evening is fun, because you can see the reflection of Place de la Bourse in it. The Bourse is a handsome building used as the Stock Exchange, where lots of wheeling and dealing happened in the 18th century. 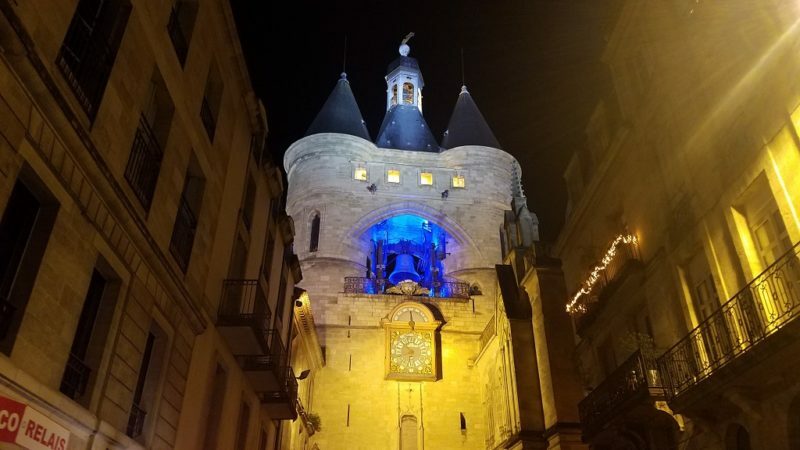 Most of the rest of the heritage sites were built in the 1700’s, which makes total sense when I learned that Bordeaux underwent a sizable expansion at that point in time. It was a very important trading post, unfortunately for the slave trade. The most impressive church is Cathedrale Saint-Andre & Tour Pey-Berland. Tour Pey-Berland is the accompanying bell tower, which is totally separated from the church. And, ironically, it ended up never being used as a bell tower! 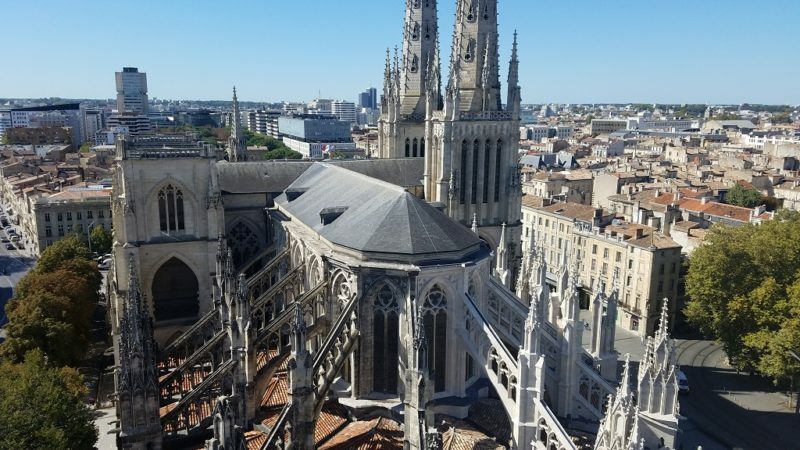 It is definitely worth a visit, and, if you time things right, so as not to wait in a long line (only 15 or so people are allowed), climbing up Tour Pey-Berland is special. You will be about 200 feet high and gain a new perspective on the city. 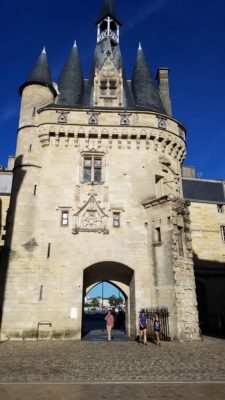 Maybe my favorite part of the UNESCO tour was admiring the portes (town gates). They are interspersed on what used to be the edge of the city and functioned as defensive gates. 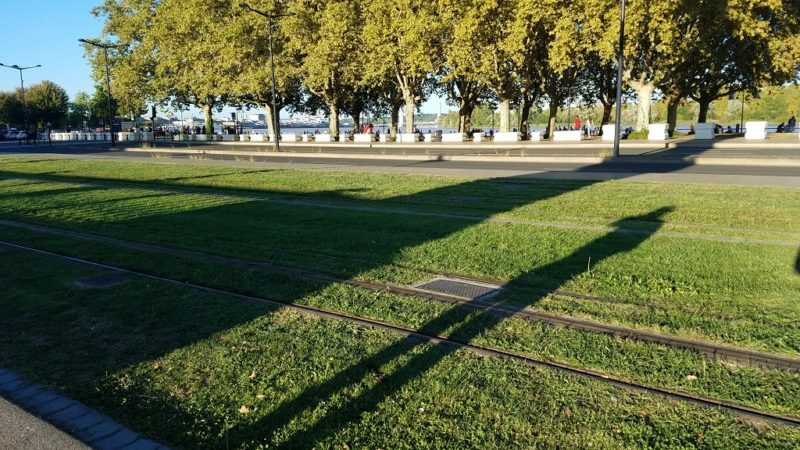 If you walk or ride the tram paralleling the river, you will spot them. Porte Cailhau looked like a home for Hansel and Gretel. To clarify, these would be two stories by US standards. In France, the ground floor is zero and going up one flight of steps takes you to the first floor. 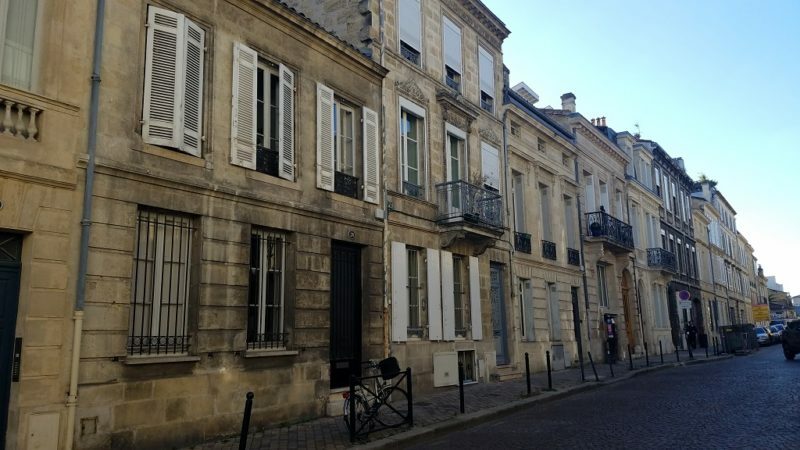 Nonetheless, the older neighborhoods such as Saint-Pierre, Saint-Michel, and the less touristed Saint-Seurin are prime areas to stroll and admire the Bordelais homes. 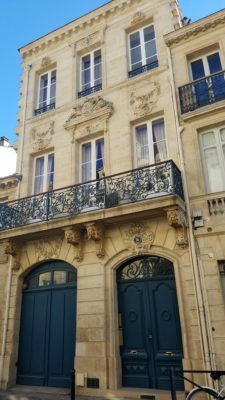 Many of the homes were built in the 1700’s and must look similar to what Paris looked like before Haussmann gave it bigtime facelift to imbue Paris with his and Napoléon III’s sense of modernity. I did not get to enter any of the homes, I only looked at them from the outside. Most of them are modest in size, although from the outside, some look more intricate than others. If I were ever looking for a home in Bordeaux, I would check them out. It was in the 80’s most days I was there in late September. The one rainy day in the 70’s was actually quite a welcome reprieve from the heat. In January, temperatures average the mid-40’s. All this great weather boils down to an abundance of outdoor cafes and music. Just in my wanderings, I came across a Spanish band that was bringing down the house in one of the plazas. And not surprisingly there are buskers everywhere. I have a feeling that if you visit Bordeaux in the summer that you will hear your fill of music of all genres. Restaurants are around every corner. And I liked that a Spanish influence seeped in to the region as well. Oyster farms are prolific on the Atlantic coast, so if you are an oyster lover like me, well, you will have plenty to choose from in Bordeaux. Of course, there is no shortage of classic French bistros. Some world class chefs like Gordon Ramsey and Pierre Gagnaire have restaurants in Bordeaux as well. If you want to travel the haute cuisine route, Paris does not hold the lock. Jardin Public is considered a remarkable French Garden, and that it is. It happened to be one of the only parks I saw in France were people sprawled out on the grass (instead of sitting in chairs). Whether idling or swinging from the hips, you can be sure that you will converge with children, grandparents, joggers and ducks. Check their schedule for cultural offerings. 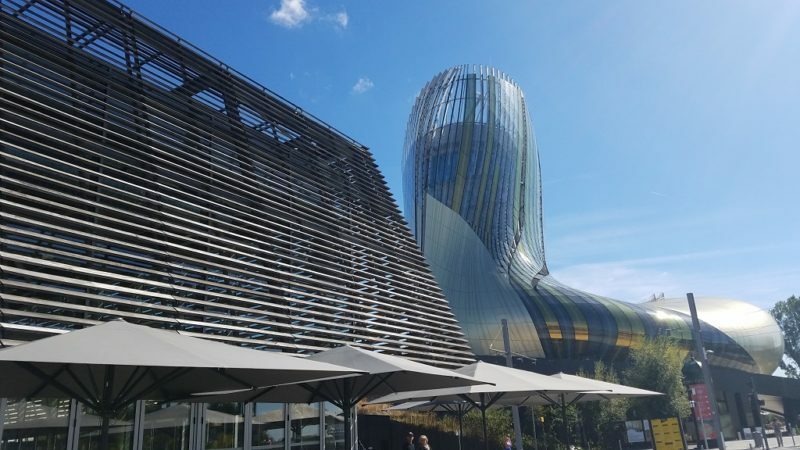 Officially called the Cité du Vin, the official uncorking of the Wine Museum was in May of 2016. The museum itself is located a ways north of the old town, in a part of the city that is in the process of developing (probably since the museum has opened). But no worries, it’s an easy tram ride. It looks like a decanter! But let’s venture inside. I really appreciated how the museum was educational but in a very hands on way. Adults were pressing and poking displays. I liked squeezing plastic bulbs that released aromas which traveled through a glass tube, out to my nose. These showed how wines have different aromatic notes. And when several notes were present as once, it became more challenging, but also more intriguing, to identify the notes. Also, there was a section on Bordelais wine history, which was very interesting. Although in general, the museum creators strived to bring life to the entire whole world of wine. Watching films on giant screens taken from airplanes that were flying over vineyards in every grape growing region on the planet was exciting. I felt like I was aboard the plane, and, while there were differences in landscapes, similarities connected all the regions. 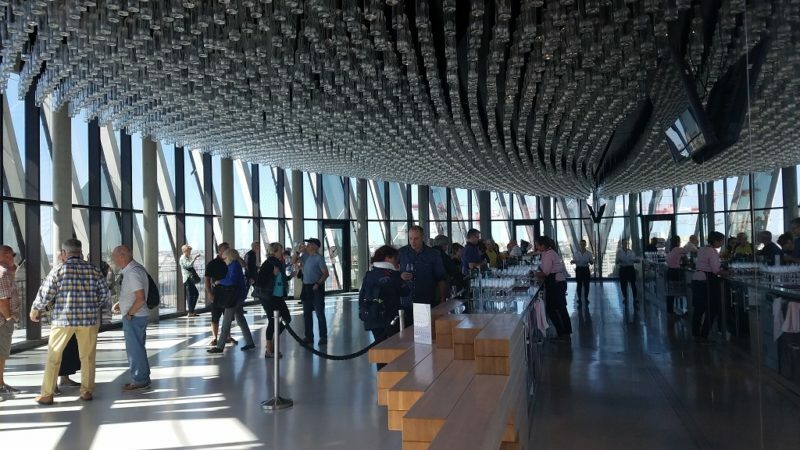 Your admission ticket allows you to go upstairs to a large room for wine tasting and views over Bordeaux. Wines are broken down into regions. And with so many countries being represented, I enjoyed making my choice. Since I was on an empty stomach, I left a bit woozy! So much so, that I really don’t see why you would want or need a car. I did rent a car for my last day in Bordeaux. The freedom of a day trip was a luxury. But for city slicking, save yourself the cost and hassle. There are three lines that service the city. 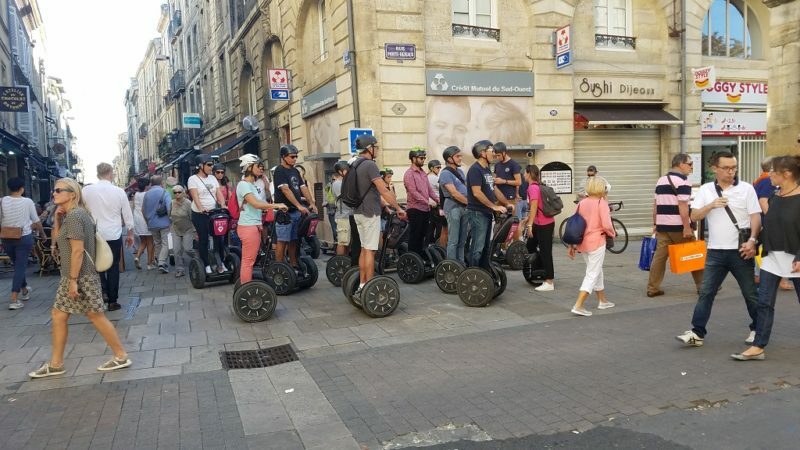 They all converge in the old city and go off in different directions from there. You can buy your tickets at the tram stops, just look for the machine. It could not be any easier. While I was walking in the Saint-Seurin neighborhood, several streets were closed at some points, because new tram lines were being laid. So I know expansion is happening, which is very cool. For whatever reason, the nicest lawns I saw in the city were in between the tram lines. It was strange, but in a pleasant way. So many people ride the trams, that I never once saw traffic inside the city that was too congested. But if you have occasion to be driving on the outskirts of the city, especially at rush hour, then traffic is ugly, as it is in so many other places. It is no secret that the French honor local tradition around food and wine. 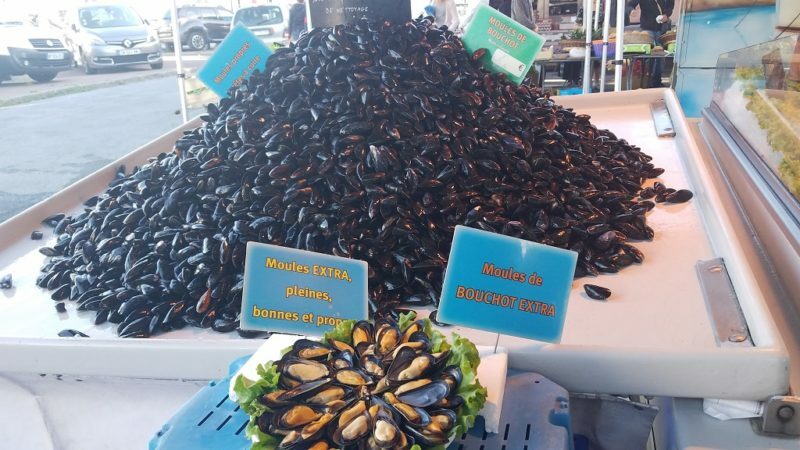 When traveling in France, it is essential to find out what the local terroir produces and then eat and drink it! Seasonal produce will vary with the seasons. Tomatoes were still showing up in dishes while I was there. It was a bit early (and too dry) for cèpe mushrooms to find their way to the dinner plate. A few years earlier, I did gorge on cèpe mushrooms in the Dordogne, which is the rural region not far from the outskirts to the east of Bordeaux. So I can attest to the many creative ways chefs can present them. While eating duck is a novelty in the states, it is commonplace in the southwest of France. 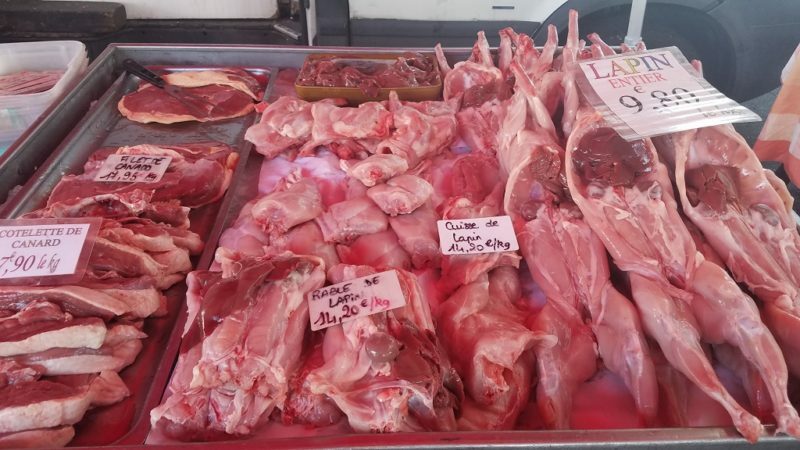 Duck meat (canard), duck fat (which is used to make duck confit), and duck liver (foie gras) are all considered a healthy form of local protein and fat. Although duck is poultry, the meat is darker and richer than chicken. And in my opinion, absolutely delicious. Oysters from the nearby Arachon region make their way an hour inland to Bordeaux. It was not prime oyster season while I was there, but the oysters were still worth trying. Wine. Ah yes, it is what put Bordeaux on the map in the first place. Ninety percent of the wine produced is red. The warm, dry climate favors grapes with full bodied flavors like Cabernet Sauvignon, Merlot, and Cabernet Franc. The remaining 10% of the wine is white and the main grapes used are Sauvignon Blanc, Semillon, and Muscadelle. Although they are not as well known as the reds, the whites are quite nice as well. Canelé is the local pastry. The cylindrical fluted shape defines it. As well as the simple ingredients of rum, vanilla, and a custard filling. What I found fascinating was that canelé is a byproduct of the wine industry. Sort of. 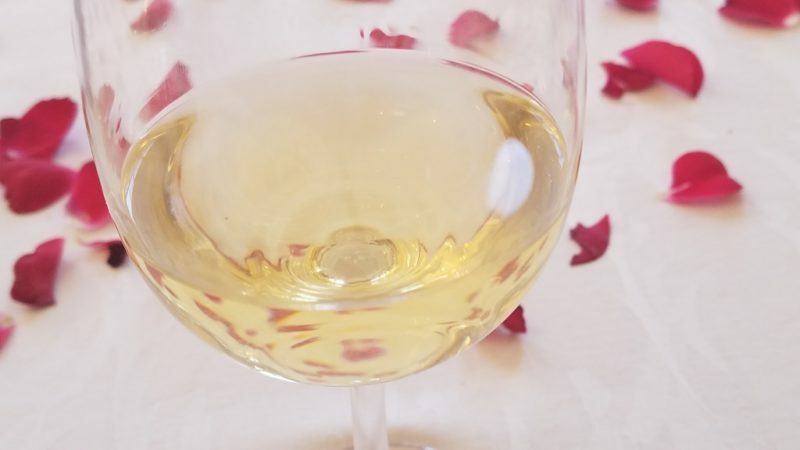 Vintners use three egg whites per barrel of wine to clarify the wine. They drop the whites in the barrel after racking the wine several times, and slowly the whites work their way to the bottom, taking sediment with them. This results in a cleaner finished product. Well, this leaves a lot of lonely egg yolks and what to do with them? The French, like other traditional cultures use every part of the animal or plant in food production, nothing goes to waste. So the vintners teamed up with the patisseries and gave them their egg yolks. It was then up to the bakers to create a pastry that was egg yolk rich. 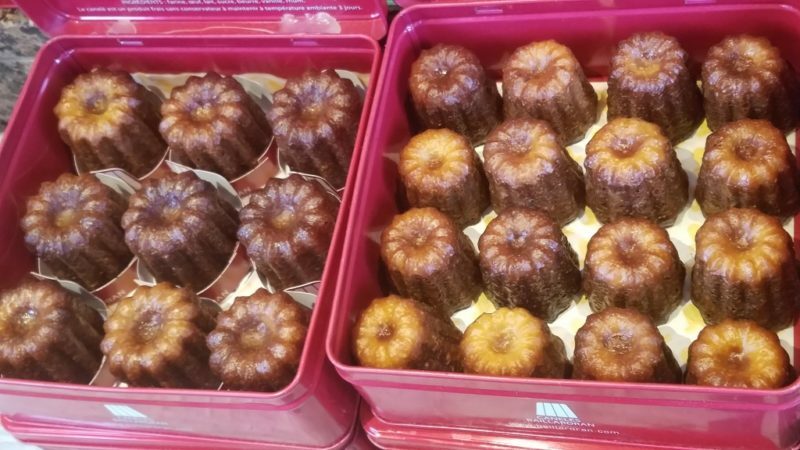 Voila, the canelé was born! I did two of them. 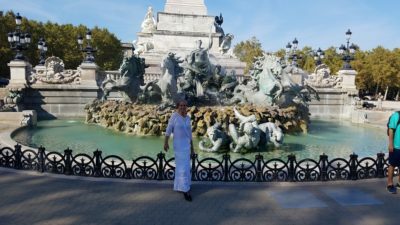 One of which was an immersion with a French couple and it was so enriching and the highlight of my time in Bordeaux, that I want to pay proper credit to them in detail. See below. My other day trip was to Arachon Bay, which is about an hour west of Bordeaux on the Atlantic Ocean. The town of Arachon itself was nothing extraordinary, so, if you didn’t visit, you would not miss anything. The real sight to see is the Dune du Pyla. It is the tallest sand dune in Europe and while it can be busy, it is possible to carve out a spot away from the crowds. 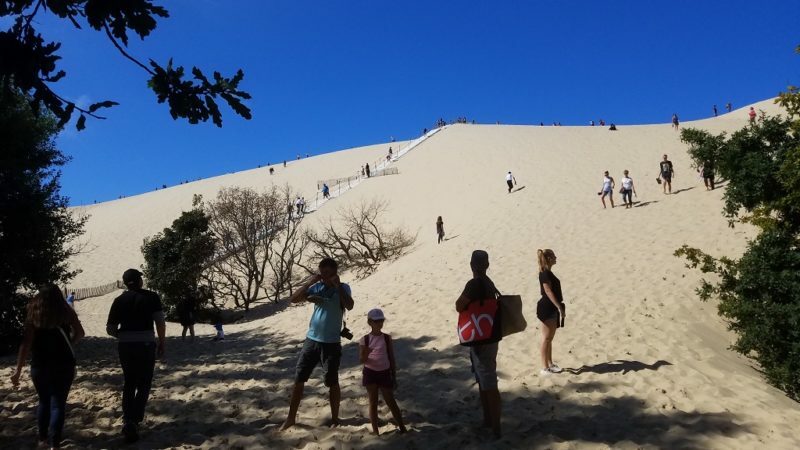 The dune is 1500 feet high and there are steps going up it, which makes it easy to climb. From the peak, you can sit and watch the view, or walk down to the ocean. Or, if you are really energetic, you can surf the sand down. The small islands just west break the waves, which makes for calmer waters. If it were warmer, I would have swum in the ocean. As it was, I just did a little wade. Nearby, La Co(o)rniche is a five-star hotel, with a fine seafood restaurant overlooking the ocean. 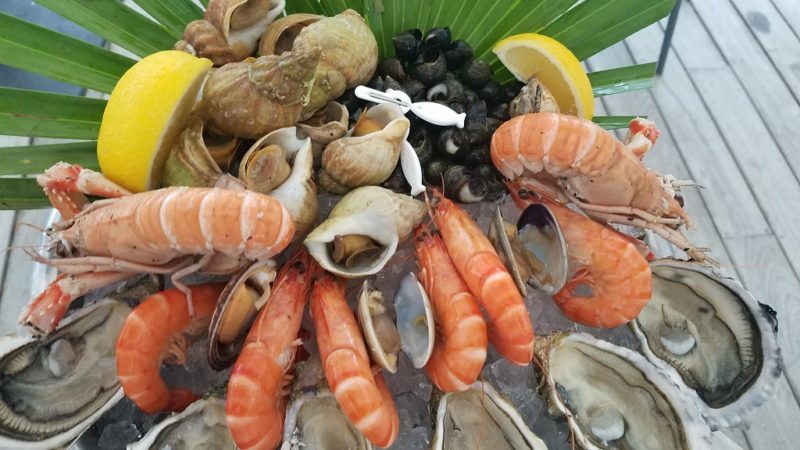 I had a cold seafood platter that contained some common items like oysters, shrimp, and clams as well as other creatures that were new to me. All yummy! Definitely the place to eat in the region, and, if you are into it, hang with the glitzy crowd. There are some rural villages with appeal not far from Bordeaux. Cognac is the place where, you guessed it. Cognac is made. And I can’t speak highly enough of the Dordogne region to the east. I spent time there some years ago and the memories of the most beautiful villages in France still burn brightly within me. Although Jean Pierre grew up in Normandy, I am sure he qualifies as an adopted Bordelais. On the other hand, Denise is the real deal. She was born and raised outside Bordeaux. For decades they have split their time living on the property where Denise was born and in Northern California. Jean Pierre was the executive chef at Berkeley’s Chez Panisse for 35 years. Denise’s father Andre Lurton and family owns and operates thirteen wineries, many of which are in the Bordeaux region. With a group, I spent two days with them. The first one was a dinner at their home, which is on Denise’s childhood property. They have converted an old barn to a truly stunning home. The kitchen was a wonder to be in. In many ways it evoked what I think of as a traditional French kitchen. In other ways, it was all modern and serious business. The huge gas range was ready to do duty for any cooking adventure that they might desire. And their adult daughter, Elsa, put it to good use. She cooked us dinner and fourteen of us laughed and drank and ate for a few hours. But that does not fully capture at all the experience. Jean Pierre and Denise are quintessentially French, the way they look, speak, dress, act and think. Beyond that, they have a warmth about them that made us all feel like family. The evening evoked the same feelings I have when I eat Thanksgiving dinner with a big group of friends. Jean Pierre also took us around to a couple artisan food creators in Bordeaux. One stop was Saunion, a chocolate factory that has been in the Lalet family since 1893. There we met Maya, who was charmingly enthusiastic and energetic about sharing her knowledge and love of chocolate with us. During her training, she interned at Saunion. After that experience she said she did not want to work anywhere else. She especially respected that they honor their employees, their chocolate, and their patrons. It was special to share time with someone who is so passionate about her work. Then we stopped at Maison Jean d’Alos, a most fascinating cheese cave, located in the cellar of a XVth century convent. Jean d’Alos is an affineur. They do not make cheeses, rather they collect cheeses from all over France and age them until they are just right for sale and consumption. I was very glad to help them check out their progress. The tour and tasting of nine different cheeses and three different wines was a delight. And of course, the endless repeat tastings allowed us to hone our taste buds. I don’t really ever get sick of cheese, but if it were possible, then I ate enough to theoretically reach that point. 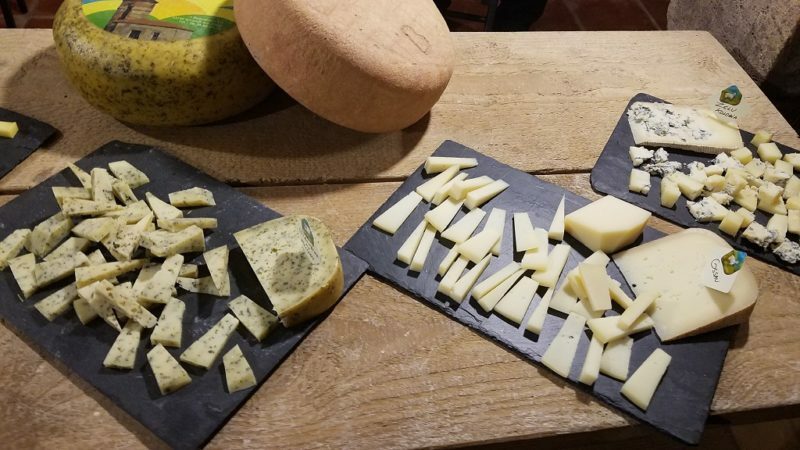 The most fascinating aspect of this particular experience was to see all the different types of cheeses and rooms with different humidity and temperatures to age the cheeses. Some of the cheeses originated from the Southwest of France, but they were not limited to such. We nibbled on great cheeses from all over France. Considering that it all originated from milk, it was an awesome experience to see the sheer variety in types and textures and flavors. Our host emphasized the importance of whether a cheese is AOP (Appellation d’Origine Protégée) or not. AOP guarantees that a product (cheese in this case) is produced in a unique way at a very specific place. For example, AOP Comté can only be made from unpasteurized cow’s milk from Franche-Comté province in eastern France. And that is only a very high level summary. Check here for all zee details. APO designation ensures that the cheese faithfully captures the terroir and procedures of its home. The French led the way with classifying products using hte designation AOC (Appellation d’Origine Contrôlée). Not surprisingly given its world-wide popularity, Roquefort was the first cheese to gain AOL status. More recently the European Untion has adopted basically the same approach and AOC has transitioned to AOP. Our host explained that AOP was extremely strict. Preserving the unique quality of the product comes with significant constraints on production and distribution. One example that she gave were two full wheels of “comté” in one of the rooms. Ironically, two comté makers from the Franche-Comté region made the cheese. Since they were in Bordeaux offering a workshop on how to make the cheese, it was disqualified from being called, and henceforth, being sold as the revered comté! They would simply sell it as a generic “farmer’s cheese” and for a much more modest price than true comté! My sense was that our host bridled a bit at the restrictions, but in her heart she fully supported them. We spent the better part of a whole other day with Jean Pierre and Denise. 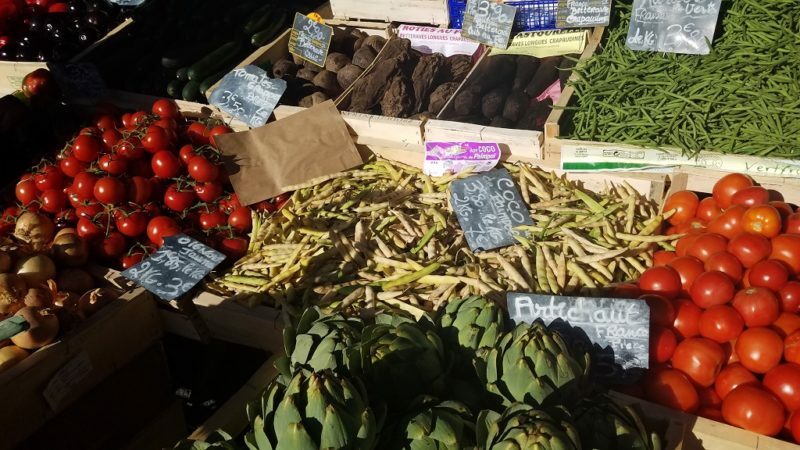 The day started in a marché in Léognan, which is the one they shop at most often. It was insightful to see how Jean Pierre cruises the marché on a once over, making note of what produce looked most enticing and was organic. On a second run through, he shopped for lunch. After shopping at the market, we met at Chateaux de Louviere, where he was in his white chef’s coat and the cooking class began. Clearly he enjoys creating very approachable dishes. For instance, an onion tart, Nicoise salad, and a pear clafoutis were on the menu. These are all things we could make at home with no special equipment. But it is unlikely our meal would taste so sumptuous. In fact, I am sure it would not. Because he has the magic touch, not to mention decades of experience. 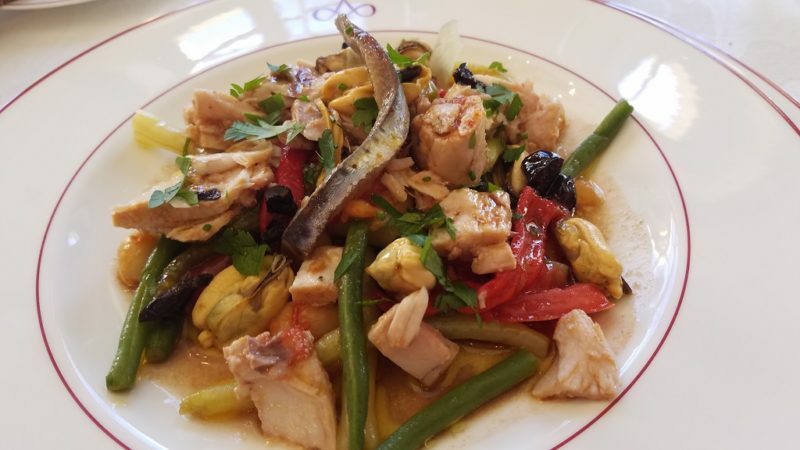 Dining on simple, market based, classical French cooking – let’s just say it’s a hard act to beat. Chateau de Louviere is the crown property of the Denise’s family. She shared the family history, which includes some challenging relations and situations. And a tour of the winery. 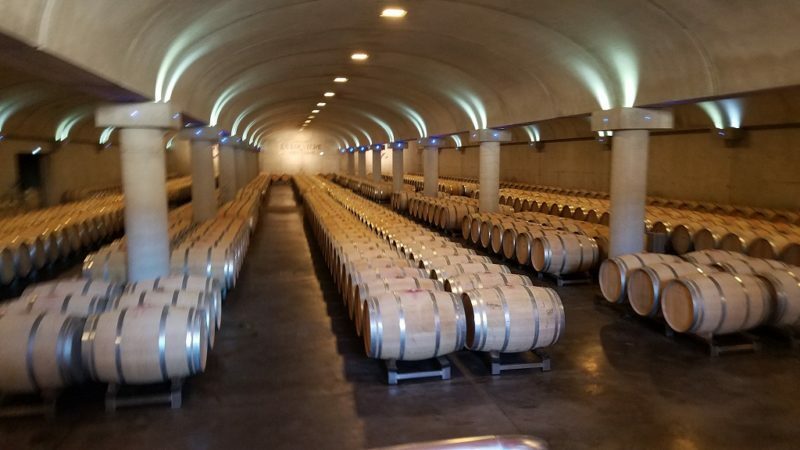 This winery is state of the art and possesses some very modern and expensive equipment. She was very honest in her assessment of what it takes to run such an operation and that is not for the faint of heart. Denise also discussed how the AOP issues that we heard about for cheeses apply to wine. They restored the home from the run-down state it was in when her father bought it decades earlier. Ironically, thieves spirited away some pieces even before the chateau came to her family. These included a billiards table and a large piece of art torn out of the wall. In a twist of fate, these pieces of art and furniture found their way back to the chateau! We entered the dining room, which was akin to entering a royal dinner. A long, elegant table spanned the length of the room. Freshly plucked rose petals adorned the table. Every plate, glass and piece of silverware was laid out just so. The tall windows had us peering at the expansive and well landscaped grounds. And while the specifics of our time were absolutely fabulous and enriching, they were not the most memorable part. 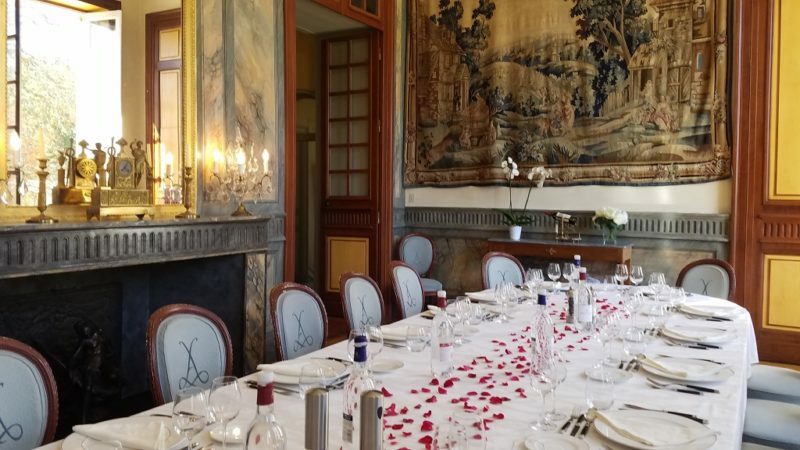 When Jean Pierre and Denise share their insights, and experiences and time with us, we truly felt immersed in a French fairy tale. They embody a way of being which is traditional and honoring of the culture they are part of, while still being in touch with modern day life. And they do this with such grace and warmth. The best news of this is that they are available to anyone who goes to Bordeaux, as long as you get a group of 8 together. In addition, Jean Pierre and Elsa offer cooking classes in Sonoma county, California. Details can be had at their website. 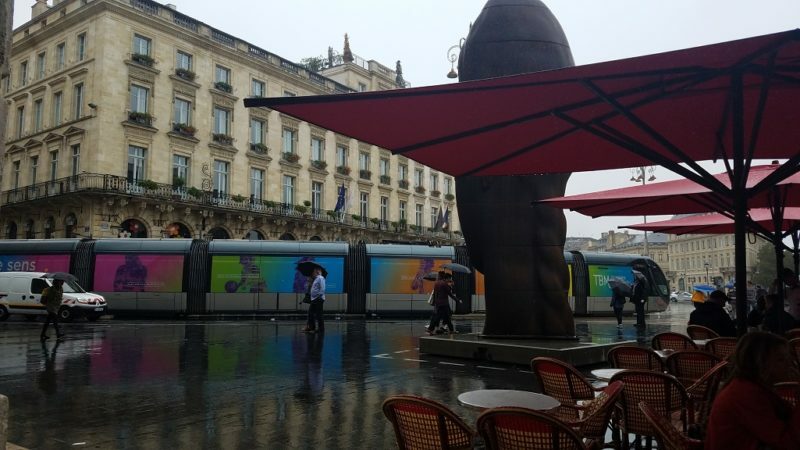 Have you been to visit Bordeaux? What were some of your favorite things? Share away!